In this article we cover the idea behind the OREToken project and upcoming news on website revamping and bounty program. The purpose of OREToken project is to create a cryptocurrency that will be entirely backed by a company dedicated to the extraction of precious minerals such as gold. The holders will get share of profits which will be generated by the company Paraguay Mineral Mining SA (PMMSA). The purpose of the crowdsale is to raise the necessary funds for the acquisition of the Land, Concessions and Machines for extraction and recovery of Gold. In spite of some of the machinery equipment’s are readily available, Additional items will be required to start full scale mining plant. 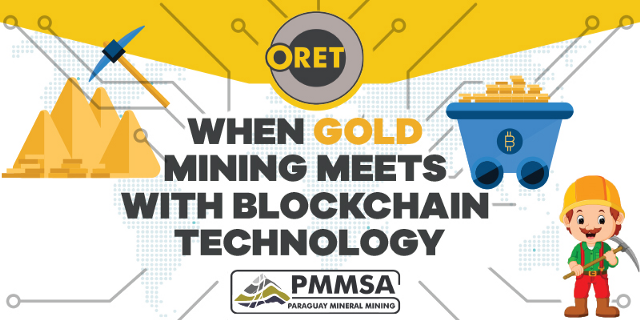 The ORET Token is one of the first options in the world of cryptocurrencies to invest and share the profits of a Gold Mining Company. With the aid of Blockchain technology, all ORET Token holders receive their weekly profits in Ethereum. Discovered by a local prospector in 1996, Paso Yobai is an emerging gold camp located in eastern Paraguay. The town of Paso Yobai is approximately 150 kilometers east of the capital city, Asunción. 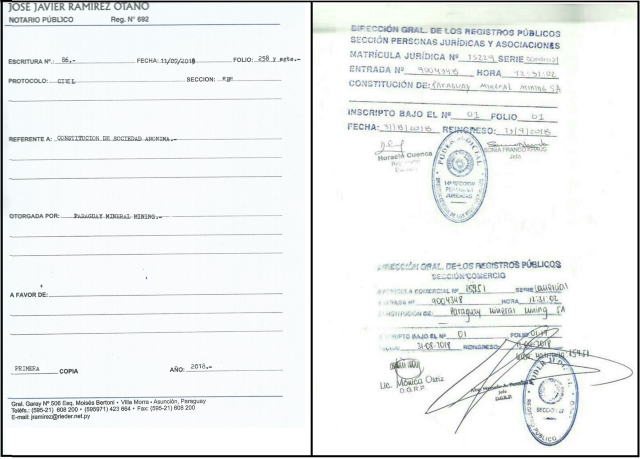 This document contains proprietary information. Written consent is required for distribution or duplication of any portion contained herein. ©2017, 2018 — Paraguay Mineral Mining SA 3 The property of the Association of APM (Asociación de Mineros Pequeños) covers a total of 83.37 hectares, which includes exploration concessions of the previously mentioned land. APM owns 100% of the exploration concessions that cover 850 meters of the gold trend and is fully licensed for extraction. We will provide an in-detailed article on the potential of gold mining shortly. Next Next post: Stackr Community Diligence: 13 Advisors And Zero Engineer On a Blockchain Project!